Quoted from antaranews.papua, Tax Office (KPP) Pratama Timika, Papua, targeting the revenue of Rp2.763 trillion during 2018 compared to 2017 target of Rp2.70 trillion. "The plan of work this year we start with the socialization to taxpayers to be conscious, who have not paid, can pay, which already pay hopefully increased," said Timika head of KPP Pratama Muhammad Naya in Timika. Naya said that in January 2018, KPP Pratama Timika has invited heads of treasurers and schools in Timika to get a socialization related to the tax obligations of the funds managed by the school. This is an effort to explore the potential of tax revenues from schools, so far its not considered optimally. In addition KPP Pratama Timika was trying to fix the internal by continuing to improve services to taxpayers, including requiring employees to sign integrity pact in early March 2018. "Internally we improve the service, the officers do not complicate, give the required explanation of taxpayers, including media friends, if read the news about tax benefits, taxpayers may be moved, tax payments can rise," said Naya. KPP Pratama Timika works in four districts covering Mimika Regency, Intan Jaya, Paniai and Intan Jaya Regency. In the districts other than Mimika, KPP Pratama Timika has not yet placed its officers. 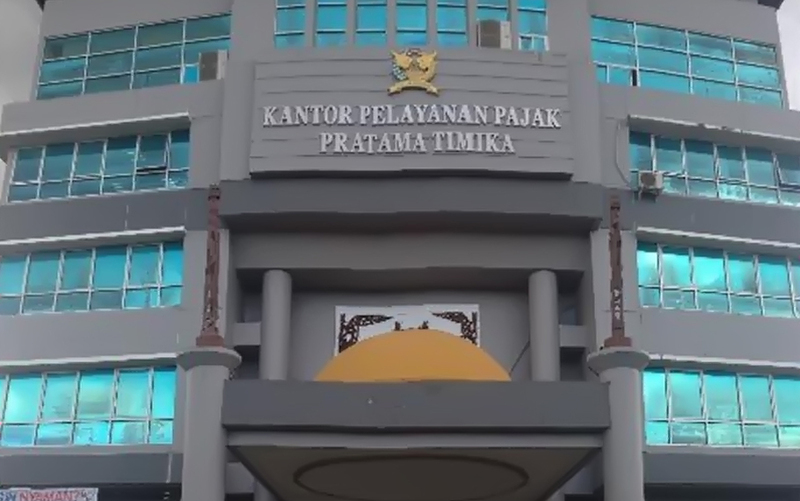 To explore the potential of taxes in the three districts, KPP Pratama Timika every three months sent its officers to meet the treasurers in the local government. In 2017, KPP Pratama Timika failed to realize its tax target. Of the Rp2.7 trillion target, KPP Pratama is only able to realize Rp2.5 trillion, still minus Rp200 billion. However, KPP Pratama Timika still listed itself as KPP which collects the most revenue in Maluku and Papua.